On Friday night, Pearl Jam were inducted into the Rock and Roll Hall of Fame, and PJ bassist Jeff Ament took the opportunity to sport an interesting T-shirt. Take a look below. Ament's T-shirt lists a load of bands and artists that aren't yet included in the Rock Hall's hallowed roll. Among them, Slayer, Soundgarden, Smashing Pumpkins, Iron Maiden and Nine Inch Nails are listed. 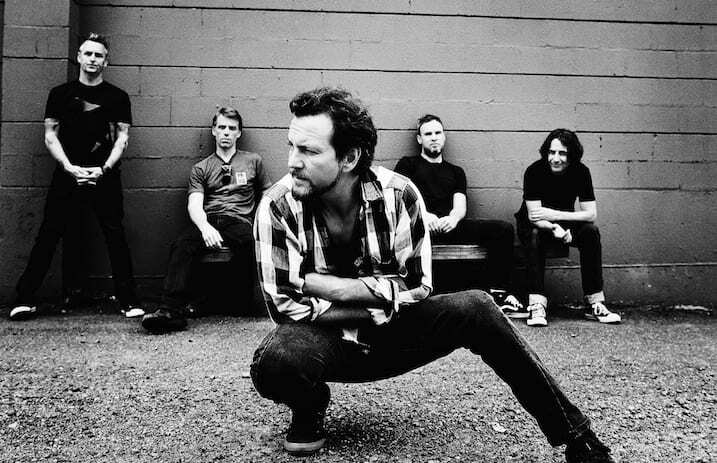 AP previously reported on Pearl Jam's blistering set at the Rock Hall. Do you notice a band not mentioned on the T-shirt that you think should be inducted at the Rock and Roll Hall of Fame? Let us know in the comments.